Home > News > Homeland Security > A New Messiah in Kashmir! Shah Faesal recently quit Indian Administrative Service (IAS). He has been since much in news, primarily because he is a Kashmiri Muslim and belonged to the J&K cadre wherein he served for 10 years. His topper status in the UPSC has also been no less ascribed to his mystique and his being even touted as ‘sacrifice’. Though Faesal, by resigning from IAS and opting for politics may fancy himself as Subhash Chandra Bose, the difference lies in the respective secessionist and nationalist agendas. The question that however begs is: Would he had made such news or created ripples, if he were to be a Kashmiri Hindu? It is underscored that Kashmiri Hindus are persecuted community in the Kashmir Valley, rather a banished community. Though Faesal, by resigning from IAS and opting for politics may fancy himself as Subhash Chandra Bose, the difference lies in the respective secessionist and nationalist agendas. Subhash quit the Indian Civil Services (ICS) for the sake of entire Hindustan, which includes today’s Pakistan and Bangladesh. He sacrificed his life for all Hindustanis. But, Faesal after 10 years of privileges and power, and after having received wisdom from American university, is only talking about jihadis, Hurriyat and Pakistan. Shah Faesal has recently written an article in the Hindustan Times, ‘There is pressing need to reimagine the electoral politics of J&K’. This article reflects the mindset of this former IAS officer and his remarks, observations, opinions and assessments are discussed in succeeding paras. Take 1: I resigned from Indian Administrative Service recently. At one level, it was an act of protest to remind the Centre of its responsibilities towards the people of Jammu and Kashmir (J&K). Reality: The reality is that the Laddakhis and Jammuits harbor no ill will towards New Delhi. They detest to be clubbed in the formulation ‘Jammu & Kashmir’. ‘K’ has become an anathema to them. They want salvation from this formulation. They want salvation from the political dominance of Kashmiri Muslims. They want to be insulated from the demographic assault by Kashmiri Muslims. They feel that the Valley is polluting the pristine land of the region. Take 2: Kashmir is in crisis. Reality: Faesal’s contention is that Kashmir is in crisis. It would have been more appropriate if he had said that the only crisis is in the Valley is driven by religion. The war is Valley is between Kashmiriyat and Islam. Kashmiri Muslims are killing Kashmiri Muslims. The jihadi Kashmiri Muslims are killing their other brother Muslims for not abandoning Kashmiriyat and not imbibing Wahabism. They are being killed for not abusing their Hindu forebears. World over the jihadis are well-educated. Osama was highly educated and so is Al-Zawahari and Bagdadi. Those who perpetrated 9/11 were also well-educated. Take 3: Educated young engaged in suicidal upsurge. Reality: World over the jihadis are well-educated. Osama was highly educated and so is Al-Zawahari and Bagdadi. Those who perpetrated 9/11 were also well-educated. The Killer of Denial Pearl, Omar Sheikh was educated a London School of Economics. A study commissioned in the US, ‘Study of Terrorism and Response to Terrorism (START)’ concluded that 90 percent of the global jihadis had received university education. 70 percent of them were technical graduates. In fact, Faesal doesn’t have to go very far and look inwards. He, an IAS topper is also furthering the cause of the jihadis. Take 4: Current electoral politics has failed. 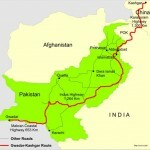 Reality: If people residing in seven percent of the geographical area rule the rest living in 93 percent of the area in perpetuity and become the arbiters of their destiny, if they persist with their jihadi agenda in the rest of the State, if they engulf the entire state and country in Pakistan’s proxy war, then it can be concluded that the electoral politics in the Valley suffers from two major failings, i.e. overdose of democracy, and contempt for democracy in consonance with the jihadi philosophy. Take 5: Kashmir is not a development issue. Indian government has been generous. Reality: This is a truthful and honest statement. Anyway, Faesal, an ex-bureaucrat did not have much scope to argue against this reality. Nevertheless, what needs to be pondered is whether the situation in the Valley was allowed to deteriorate because of overdose of generosity? To that extent has the Indian State indirectly funded Pakistan’s proxy war in Kashmir? Can we say Indian tax-payer’s money is being utilized to kill Indians? Take 6: Money can buy bricks and mortars, but it cannot buy hearts and minds. The youth in Laddakh and Jammu do not pickup stones because they are not indoctrinated into global jihad, because they do not take orders from the military-intelligence establishment of Pakistan. Reality: Faesal is right, when he says that bricks don’t bridge hearts. In the year 2014 during the floods in the Kashmir Valley, the security forces saved many homes, and yet they were stoned. The reality is that it is impossible at this point of the trajectory of global jihad to win the hearts of jihadis. The souls of jihadis are crushed in the mosques and madrasas, as well as in the LeT, JeM and HM camps. No infrastructural facility can supplant the idea of Caliphate. No leniency, no amount of liberalism can change the world view of the jihadis. Western countries, which flaunt their liberalism in judging the orient, have also failed miserably in this regard. Take 7: Stone pelters are not putting lives at stake because someone is paying them. PhD scholars not taking to armed rebellion because of ideological indoctrination. Reality: Kashmiri Muslim youth, socially, politically and economically are the privileged class in the state of J&K. Yet, the stone pelters are stoning every other Indian who is perceived to be opposed to global jihad. Kashmiri youth in garb of PhD scholars have been waging jihad from Aligarh Muslim University in Uttar Pradesh. Punjab University and Technical Colleges is being used as a base by Kashmiri youth for their jihadi activities. Some of them have been killed. It is clear that they are engaged in widening the arc of Pakistan’s proxy war. These jihadis are affiliated to the jihadi tanzims based in Pakistan. The youth in Laddakh and Jammu do not pickup stones because they are not indoctrinated into global jihad, because they do not take orders from the military-intelligence establishment of Pakistan. They are not receptive to the videos like ‘Sangbaz’ circulated by the public relations department of the Pak Military. Moreover, it may be reiterated that a jihadi’s beastly attributes are directly proportional to his level of educational opportunity. Take 8: There is a sentiment in Kashmir, which has not been addressed since 1947. Reality: The Kashmiri Muslims and their leaders need to explain the journey of a Bhat (Brahmin ancestors) family, to Zakir Rasheed Bhat and subsequently to Zakir Musa. They need to explain, the point in their evolution, that their Hindu forebears become historically and biologically untouchables. They should be grateful to the Indian State, the Indian Army and the Maharaja Hari Singh for having snatched J&K from jaws of Pakistan and giving the Kashmiri Muslims the territory to Kashmiri Muslims to rule in perpetuity. Take 9: Emergence of violent conflict after rigged elections of 1987. Reality: The truth is that many elections have been held since then. The leader who allegedly rigged the elections become Chief Minister several times hence. Allegations of election rigging have been made in several parts of the country since 1952, but it did not trigger terrorism. Moreover, elections are not held only in the Kashmir Valley but in the entire State. 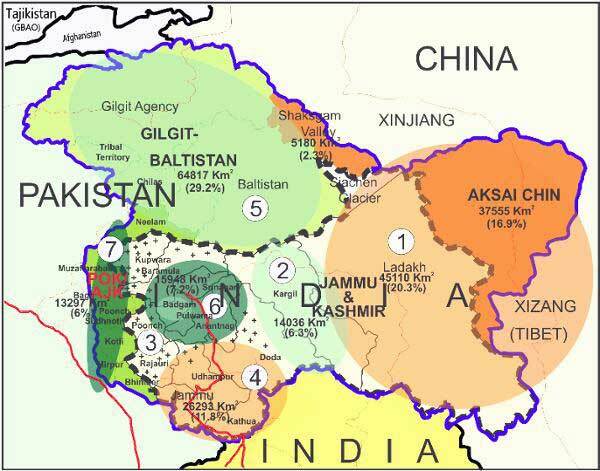 If Laddakh does not take positions on relations with China or Jammu about the Indian activities across the LoC, then what is so special about the Kashmir Valley, which has no border with either Pakistan or China. 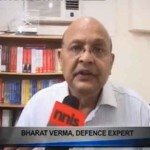 Take 10: Failure of dialogue between India and Pakistan. Reality: Bihar and UP have never interfered with the Centre with regard to relations with Nepal, nor West Bengal, Assam and Meghalaya with respect to Bangladesh. Arunachal likewise does not give unsolicited advice on the tone and tenor of relations with China. 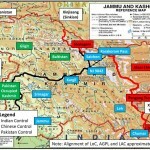 If Laddakh does not take positions on relations with China or Jammu about the Indian activities across the LoC, then what is so special about the Kashmir Valley, which has no border with either Pakistan or China. The Kashmiri Muslim mindset has to be purged of this mental disease. Take 11: Hurriyat needs to be assured that as custodians of the sentiment — elected representatives are not going to encroach into their space. Its decision not to participate in the election process has to be respected. Reality: The truth is that Hurriyat sold Kashmiriyat to the Pakistani masters and are therefore enemy of the Kashmiris and the Indian state. Hurriyat at best can be considered as custodians of the agenda and sentiments of the jihadis. Shah Faesal’s article smacks of his love for Hurriyat. The thrust of his article is to legitimize Hurriyat and to demonize elections in J&K. He has sought to undermine democracy and elected representatives in not only the Kashmir Valley but in Laddakh and Jammu region as well. This former IAS officer of J&K cadre has not even once mentioned about the aspirations and vulnerabilities of Jammuites, Laddakhis and Kashmiri Hindus. The Jammuites and Laddakhis are tormented by the internal colonization of Kashmiri Muslims. It should be remembered that Hurriyat is a creation of Robin Raphel and RiazKhokhar. The American leverage in Kashmir has always been a critical factor. It is not surprising that Shah Faesal, after having received enormous wisdom from Harvard University has decided to be a ‘key communicator’ in the lines of Aruna Roy and Harsh Mander. Nicely written. Hope every Indian reads it. My own feeling is that Faesal is another SAS Gilani in making. Expect NOTHING from him !